Don't worry, we're still planning on reviewing No Man's Sky; Rick's in deep space as we speak. I didn't like No Man's Sky when I played it, back in the spring. The hype-train had already left the station, and now, on the day of its PS4 release, and just a couple of days before PC owners get to carve out their own chunk of the universe, that trainload of hype is at maximum speed. So, on this, the launch day for those of you that've sold your soul to Sony, I'm here to deliver a message. Whether No Man's Sky sets the world alight with its brilliant glow or not and regardless of how well it sells, Hello Games, a tiny studio from Guildford best known for side scrolling stunt-'em-up Joe Danger, has made the biggest game in the world. It's created life where there was none, and packed an entire universe onto a single Blu-ray. Regardless of what you think about the game itself, that this small team could achieve what it has is nothing short of incredible. It's a victory for smaller studios looking to dream big. Of course, not many studios have the marketing power of Sony behind them, but what Hello Games has really done is given us something to believe in. 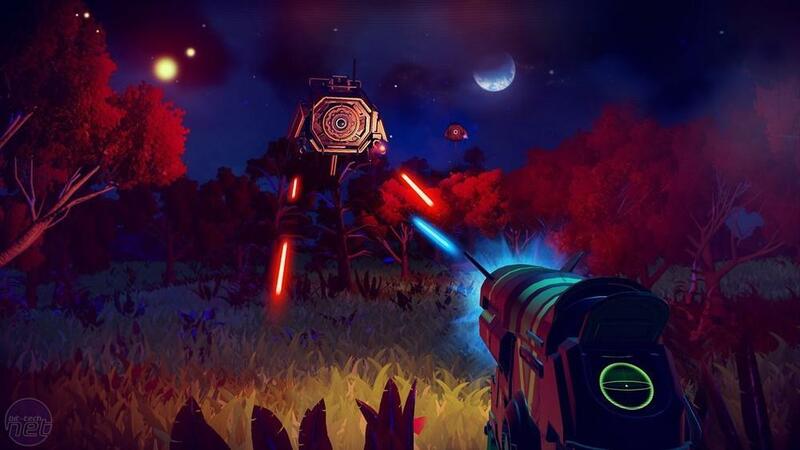 Hello Games' Sean Murray has managed to produce his dream and is letting all of us take part in it. Take the game's multiplayer. Murray has repeatedly said there's no standard multiplayer, but right now I'm watching two streamers in the same spot, geographically at least, desperately trying to see each other. Some mixed marketing messages have meant some players are sure they'll be able to exist in the same space, to enjoy each other's company. This isn't possible, but watching the stream, the two Twitch windows pushing up against each other on a second monitor, I want to believe. Since starting this, despite being unsure of whether I'll even enjoy the game, I've bought it. I just need to play it. There's an entire universe out here, and being able to explore this without a single loading screen is something gamers have never been able to experience before. I want to witness views that no-one has laid eyes on before and that might never pass into another pair of retinas again, and it's exciting. 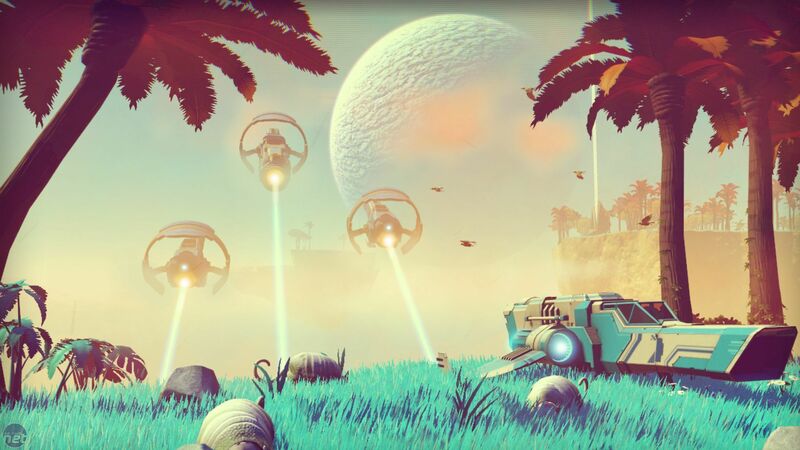 It's so rare that gamers get to just be excited about a product, so if you're looking to pick up No Man's Sky or you think you might enjoy playing it, why not? Don't let cynicism ruin the joy of discovery. Hello Games has produced something incredible, and this should be great news for other games studios around the world. Hello Games had a big idea and the talent to pull it off, and the message here is one of hope: any other games studios with big ideas and a lot of talent; they can pull this off too. It's an exciting time to be playing games. Rick returns to No Man's Sky to explore how a year's worth of updates have changed the game.